Ramesh is a medical practitioner by profession and owns a nursing home in a posh colony of Mumbai. He had a decent earning and market reputation until last year when some relatives of patients brought in some legal allegations for wrong treatment. Thanks to professional liability insurance, Ramesh got all the legal help needed in time that saved him as well as his nursing home from any kind of financial loss. 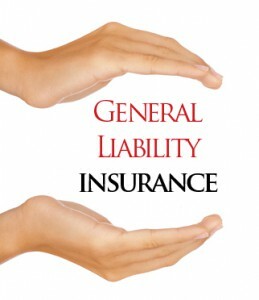 There are several instances where liability insurance helped a person legally as well as financially at the time of need. Definition of Liability Insurance- Any kind of insurance plan that provides protection to a business or an individual against any kind of legal risks is called liability insurance. Many a times, there are risks where an individual or a business can be held liable for third party injuries, malpractices or negligence causing severe damages. If the individual or the business gets insured, they/she/he is/are eligible to get reimbursements for any legal payouts. This type of insurance can work well for professionals like shopkeepers, business owners and medical practitioners. Professional liability insurance- Professional liability insurance is the most common form of liability insurance. Professionals like medical practitioners and business owners can get professional liability insurances so that to keep themselves safe from any kind of legal issues. Professional liability insurance can help cover legal issues. This type of policy is designed only for people who are engaged in a particular type of profession. Public liability insurance- In this type of insurance, the insurer pays premium for a certain amount of sum assured which is usually paid to the third party when the insurer is liable to pay a certain amount for the loss or damage of third party property, physical injury or accidental death. In many cases, legal expenses are also payable for the insurer. Business liability insurance- Business liability insurance, also known as commercial liability insurance helps cover legal damages & payouts the insurer is obligated to pay. For example, if your construction company has built an apartment that gets damaged accidently, chances are that the residents may file a case against you. A commercial insurance can act as a savior for the insurer and can pay for all the legal charges. Cyber liability insurance- As the whole world goes online, it is important to think about cyber crimes more seriously. Cyber liability insurance provides coverage against any kind of confidential data breach and repairing of exposed computers. Additionally, it also provides data security services, risk management services, forensic assistance, legal assistance and many such services. Liability insurance on employment practices-If you own a company and have hired several employees there, chances are there for you to get involved into legal matters. Any employee can file a case on you or on your business no matter whether the fault is yours or not. Insurance on employment practices liability can help provide coverage to the officers, business entity, directors and even employees who are accused of unjustified termination, discrimination, harassment and other related offenses. 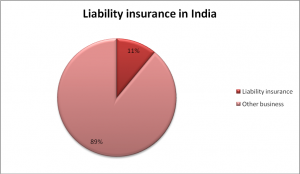 There are several benefits of availing liability insurance. Liability insurance, like other insurances safeguards you from any kind of unforeseen circumstances. It is important for you if you are a business owner or in a profession where legal risks are high. The insurance provides you much more than financial support and can help deal with any kind of legal activities.